Quality leather sporran bag, handmade with quality genuine leather. 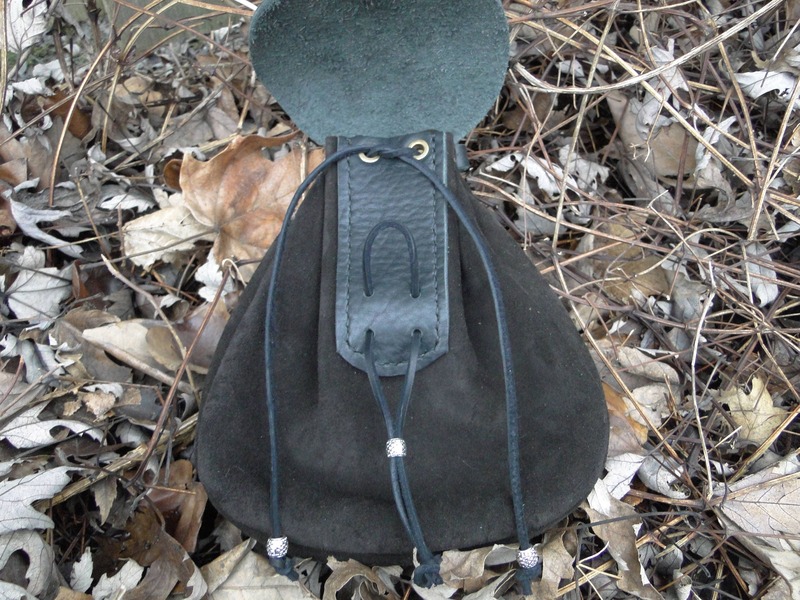 Functional design, with extra reinforcements, interior pocket for cell phone & brass grommets for the drawstring. Opens easily with drawstring leather laces. 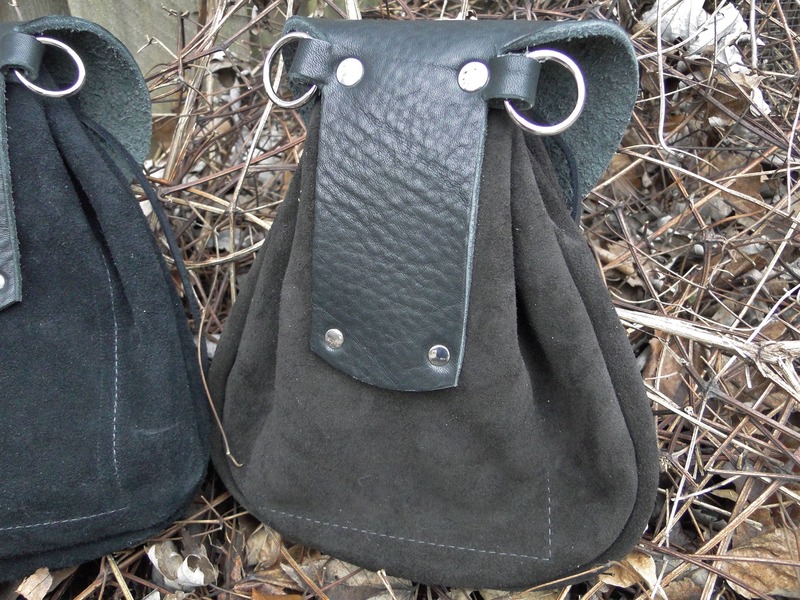 Flap & belt loop are a heavier cowhide. 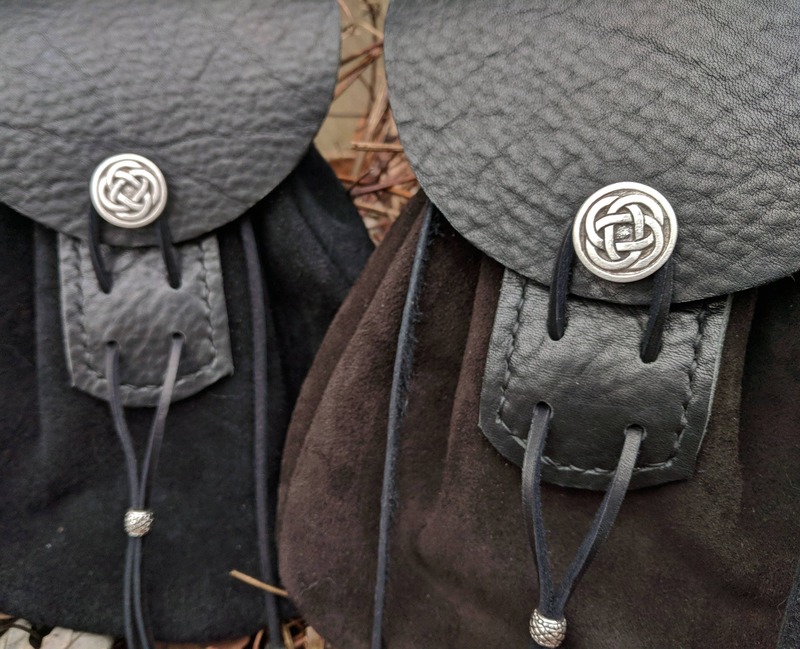 Closure is secure with a detailed metal Celtic knot button. Hand sewn details, will fit up to a 3" wide belt. 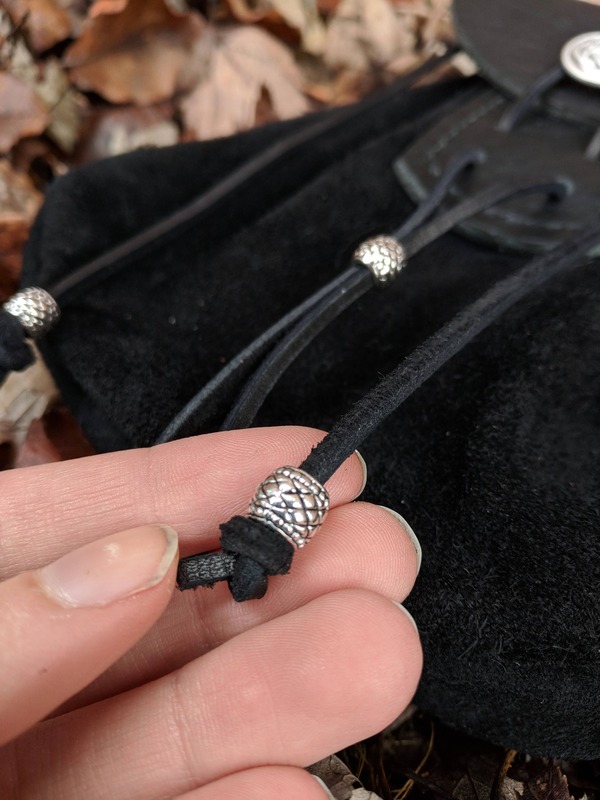 Also has rings on the back, allowing the bag to be clipped on, or a shoulder strap connected. Good expandable size able to comfortably hold your phone, wallet, keys and more! I held off buying this bag because it was a bit more than I wanted to spend, but I'm so glad I ended up getting it. It's incredibly well made, the cell phone pocket is actually big enough for a phone, and the suede is so nice and soft, but feels very durable. Best of all, it's so versatile. I can wear it with my arisaidh, a bodice/skirt combo, or just everyday as a belt bag. It's easy to get into, but still closes securely. TL;DR: Worth every penny, you won't be sorry. I'd say I'm gonna let my husband borrow it sometimes but that's a lie. He can get his own. Came as described! Fast shipping! Very Happy! 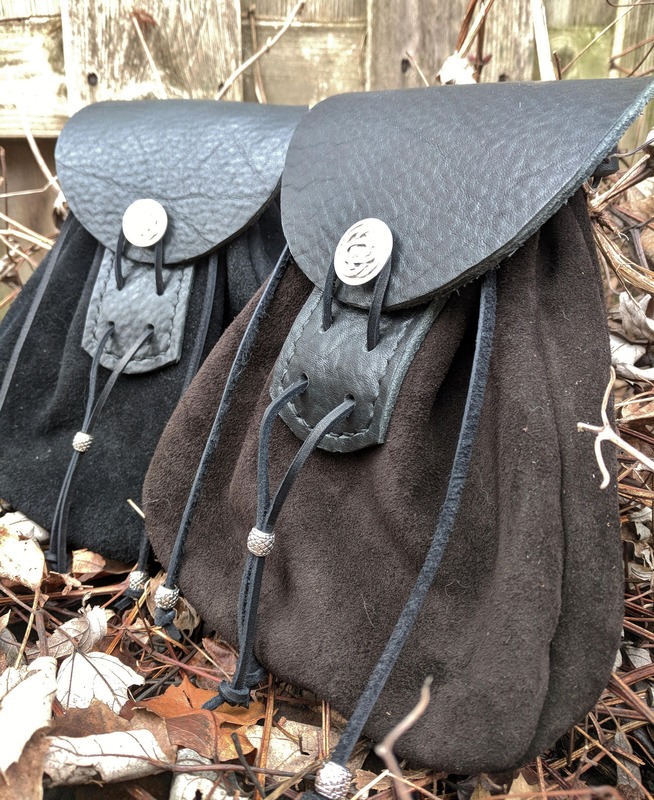 a capacious and very sturdy pouch! 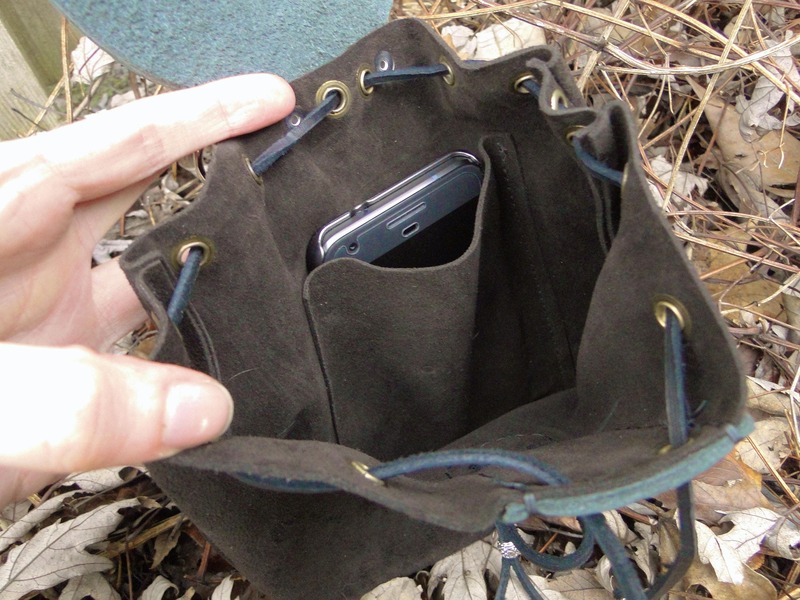 The cell phone pocket is a nice feature, and the general attention to detail is excellent! 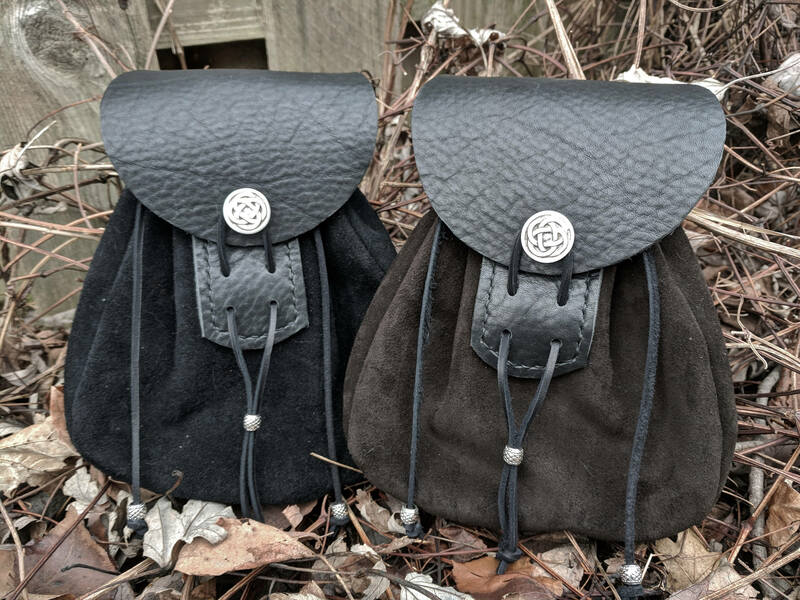 Awesome pouch! Quality is top notch and the internal pocket sewn on the inside is large enough to hold an iPhone 8 + just fine! Would buy again without hesitation!